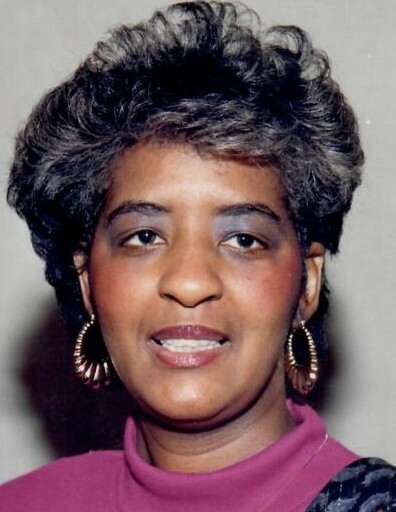 VENDETTA CHERYLE WINKLER, daughter of the late Frederick Douglas Brown and the late Ada Brown was born August 7, 1947 in Baltimore, Maryland. Fondly known as "Ven", she was called to her eternal resting place on January 22, 2019 by her Lord and Savior, Jesus Christ. Ven was raised in a Christian home and was baptized at an early age at the Knox Presbyterian Church. Ven attended the Paul Lawrence Dunbar Senior High School, graduating in 1965. She then attended the Cortez Peters Business School in Baltimore. Ven studied Secretarial Administration and received numerous awards and honors for her exceptional stenography skills and ability to type at 120 words per minute. In the early 1970's Ven was employed by the Lafayette Square Community Center in West Baltimore, as an Executive Secretary. She assisted the Director, Mr. Vernon Sheffey, managing the day-to-day operations of the Center and providing outreach activities to the residents in the community. Thereafter, for 25 year, Ven was employed at the Westinghouse Electric Corporation, as an Executive Secretary, supporting leaders and Directors with government defense contracts relating to Aero Systems. Most recently, Ven retired from the Maryland Transit Administration Mobility Services Division, where she coordinated transportation services for people with disabilities. Her clients loved her wonderful personality and appreciated her dedication to ensuring their rides would arrive in a timely manner. Ven was an avid guitarist. She enjoyed writing music, working with children and serving her community. She leaves to cherish her memory one loving daughter, Tisha Yvette Winkler; two devoted sisters, Denise Sharon Dupree and Patrice Loren Ervin; two brother-in-laws, James Clark Dupree and Stephen Curtis Ervin; one loving niece, Kayla Patrice Ervin; two loving nephews, Braxton Clark Dupree and Andrew Stephen Ervin; thee great-nieces, Tanai Shavon Mathis, Gabrielle Grace Mathis and Kennedy Rae Dupree; one great-nephew, Nolan Woingust; devoted cousins; the Boyd, Brown, Jones and Ervin families along with a host of other relatives and friends.